Way back in 1996, Bill Gates declared, “Content is King.” In his essay, Gates predicted that content would be where “much of the real money will be made on the Internet.” In 2010, when blogging really started to gain traction, content marketing and search engine optimization (SEO) professionals took that phrase to heart. At first, we saw an uptick in plain ol’ content—mostly words tossed together in a fashion that appealed to search engine bots, but not people. Meh. As Google’s algorithms became smarter and the masses flocked to the Internet, marketers came to understand that only quality content (content that appeals to BOTH bots AND people) is the only content that will do. Today, high quality website content has become a major force powering SEO. Why? Because Google LOVES quality content—and if you care about getting found online: when Google talks, you LISTEN! So what about blogs? 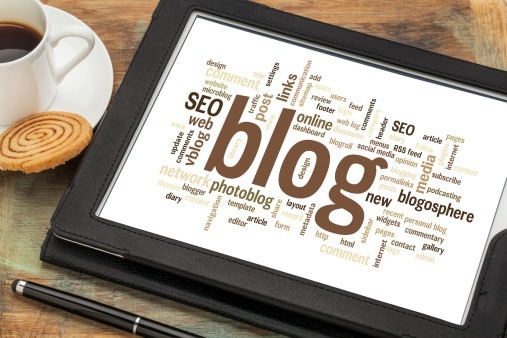 Blogs have become a turn-key content solution used to capitalize on today’s top SEO tactics. When you create a blog and update it regularly with content that attracts your target market, you’ll be edging your way to the number 1 spot on page 1 of Google. Blogs have only become more and more powerful over the years. They’re simply a must for any business these days, as a great blog has proven to be a major sales-generating tool. Before we go any further, it’s important to understand the meaning of SEO. Search Engine Land defines SEO as, “the process of getting traffic from the free, organic, editorial, or natural search results on search engines.” Put simply: search engine optimization is what you do to your website to bring in more web traffic. Why bring in more web traffic? Because your customer’s purchase starts with search. When you add a blog to your website (following current content marketing and SEO best practices), you’re giving the search engines what they want, which can really pay off. You may be asking, “Why do I need to update my blog?” Fair enough. There’s a great answer for that, and it’s the key to propelling your content up the search ladder. Each time you update your blog, the search engines send out a little crawler that reads, then indexes your webpages. When this happens, the chance your content will achieve a higher search rank increases. When creating fresh, new content, keep in mind: Quality Beats Quantity. So “refreshing” an existing blog post won’t always cut it—instead, start new often and tell stories whenever you can. Stories sell. Every website has something called Domain Authority (DA). Developed by Moz, this is a score (on a 100-point scale) that predicts how well your website will rank on search engines. While DA is determined by a lot of different factors, authoritative backlinks pointing to your website can help boost your rankings. Your content is unique and engaging. You have fans (not necessarily customers) who are passionate about your brand. People feel some type of emotional connection to your company and/or your products and services. Your content is quote-worthy and people see a reason to cite you. Keywords are an important part of a complete SEO strategy. With every new blog post you create, you have the opportunity to use new or existing keywords, all of which…you guessed it…get that great content of yours FOUND. There are two types of keywords: long-tail keyword and short-tail keywords. Before getting started with blogging for SEO, do understand: it can be a large undertaking. But when it’s done right, an active blog can generate loads more leads and tons more sales. When done wrong, it can end up being a big waste of time and money. We recommend hiring professionals, so give us a shout at Cultivate Communications!